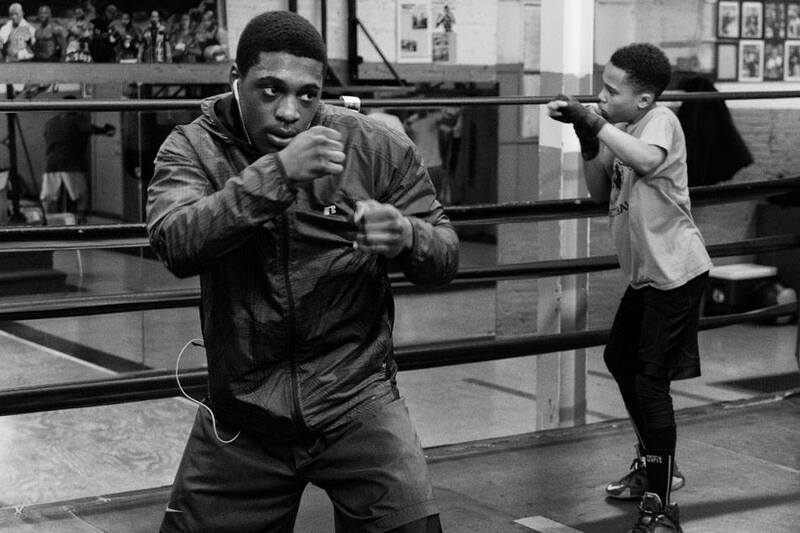 Situated in Brooklyn Street in the thriving hub of West Philadelphia, the James Shuler Memorial Boxing Gym makes a strong case for its place as the top boxing gym in this battle-hardened fight city. The gym is named after the late James Shuler, who competed as a middleweight contender in the 1980s off the back of a highly successful amateur career that saw him win National Golden Gloves, Pan American Games gold and become a staple member of the Olympic boxing team at the time (his shot at an Olympic appearance was ended when the United States boycotted the 1980 games). Shuler was a skilled boxer with a hard punch and solid fundamentals, which took his professional record to 22-0 with 16 knockouts before he ran into a certain Tommy ‘Hitman’ Hearns in 1986. Hearns brutally exposed Shuler’s level at the time and knocked him out in the opening round of an NABF clash in Las Vegas. Just one week later, Shuler was killed in a motorcycle accident, aged just 26. After initially metaphorically dodging a bullet in 1980 when the US Olympic team plane crashed in Warsaw (Shuler was injured and not part of the squad that travelled) he was still cut down in his fighting prime with so much left to offer his profession. Even though Shuler was unable to continue contributing to the sport, his legacy lives on and his name is now associated with the popular James Shuler Boxing Gym in Philadelphia. Nearly 10 years after his untimely death, Shuler’s close associate Percy Custus opened the club in honour of his friend and former team mate. “Buster” Custus opened the gym officially in 1994 and it attracts members of all levels and from all walks of life. The Shuler Gym has gained a reputation as one of the toughest American gyms around, with top-notch, ultra-competitive sparring always on hand. Custus and Shuler trained together back in the day in the 1970s at Joe Frazier’s gym. Smokin’ Joe Frazier of course is one of Philadelphia’s favourite sons and widely celebrated pugilists. The gym’s most prominent current resident is world-ranked contender Julian “J-Rock” Williams who competes in the super-welterweight division. Williams boxed Jermall Charlo in 2016 for the IBF title. Other top names that have graced the gym over the years include: Steve Cunningham – a former cruiserweight world champion and heavyweight competitor; Yusaf Mack – an extremely talented contender who became more famous for his out-of-the-ring activities but could certainly fight; Henry ‘Hank’ Lundy – a solid contender and regional title holder; Dhafir Smith; Eddie Chambers and even trainer Naazim Richardson who was for so long involved in Bernard Hopkins’ career. Even though training is ultimately Custus’ passion, he has also taken to promoting amateur shows in order to highlight the talent that has been produced under his tutelage and Percy even organizes professional shows to keep his full-time boxers active. The gym proudly boasts two Philadelphia Hall of Fame coaches, six Golden Gloves championships and “25 years of building world champions, Olympians, title holders and top contenders”. Custus’ aims for the gym go beyond boxing as he tries to instil the values that were so often associated with James Shuler, who was liked by all he came into contact with and is well remembered as a kind and compassionate individual who never entered into confrontations, yet remained so capable inside the ropes. Custus works hard keeping troubled youths on the straight and narrow and keeping rogue elements off the streets. The gym offers varying programs, including beginners boxing lessons, morning sweat box routines and even yoga to help whip aspiring boxers into fighting shape. Long-term memberships are available and members and occasional users speak highly of the facilities and general ethos. “This place is filled with love. The customer service is excellent. The owners treat everyone like family and seems to have a personal relationship with all the clientele. It’s been in the area a long time and is considered a staple in the neighborhood,” says user William Tompkins. Other reviewers speak of the Shuler Gym’s warm atmosphere and positive vibe. All of these attributes help to cement it as Philadelphia’s top boxing gym. While the Shuler gym is busy doing its thing, the city also contains other quality gyms to train or work out in. Joe Hand’s Boxing Club and Computer Lab is another Philadelphia club with a social conscience. Set up by Mr Hand, a retired police detective, they strive to keep the city’s youth from straying into the nefarious offerings of street life. Mr Hand prides himself on serving to educate the participants as well as school them in the boxing code. The Warrior Boxing Gym and Philly’s Next Champ clubs are also available. Experienced USA team coach Mike Cassell runs the latter, with many forms of Martial Arts also finding a way on to the program.